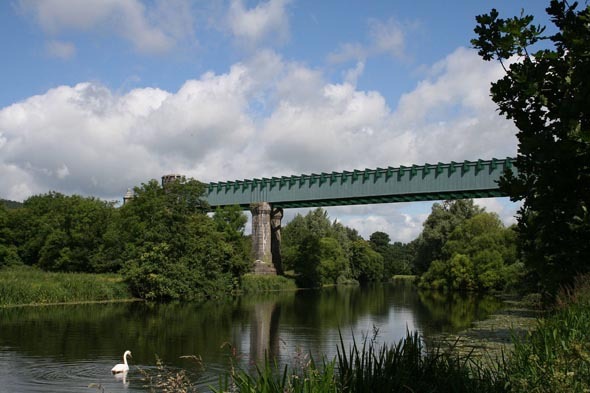 Triple-span railway viaduct over River Suir, built 1852, on railway line between Limerick and Rosslare Harbour. It has elaborate limestone detailing to the massive masonry piers and abutments. The crenellated turret-like faces to the ends of the bridge surface add decorative effect, perhaps mirroring Cahir Castle a short distance down river.